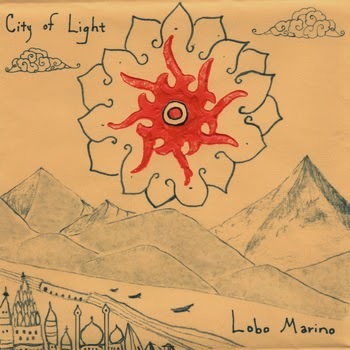 Lobo Marino is a mix of tribal, folk and world music featuring the harmonium, drum and various other unique instruments and voices. At its core it is the musical response to the continuous travels and ongoing spiritual journey of its members. It all started with a harmonium. Three years ago we added the harmonium to our band and began to play kirtan, sacred hindu chant music, to honor the instrument's history. The music had a profound effect on us and our audience. We wanted to learn more about the ancient songs we were singing so we studied yoga and meditation at an ashram in Virgina called, Yogaville. Our next journey was to India. We spent a month living in the city of Varanasi, which was once called "Kashi" or "City of Light". While there we recorded music and chants from the streets, which we have incorporated into this album. We also volunteered at our friend Ravi's music and arts school, which strives to help children rise out of poverty through music and education.